They are the voice of the station. Seamlessly linking the programmes, providing the programme trails and reading the news bulletins and shipping forecasts. Ever present since the start of Radio 4 in 1967 I'm celebrating the voices -some familiar, some now long-forgotten - of the team of announcers that have graced the airwaves in the intervening fifty years. Before introducing you to the just shy of 200 men and women who've appeared on Radio 4 - the split, incidentally, is about 63% male, 37% female - time for a little history. When Radio 4 replaced the Home Service on 30 September 1967 it was pretty much business as usual. "This is Radio 4, the Home Service" would be the opening announcement at the start of the day's broadcasting for many years. When David Dunhill famously closed down the Home Service on the Friday evening - "so goodbye Home Service, two of the best words in the British language" - it was also his voice that woke listeners to the new service the following morning, though sadly no recording exists of that piece of broadcasting history. So a good few of the names on this list would have been heard on the Home Service, and indeed the Light and Third Programme, as announcers were not tied to any particular network. For instance, on that opening morning Bruce Wyndham was reading the news, someone more likely to have been heard over on the Light and then Radio 2 as the regular host of Saturday's Breakfast Special. At the time of the network changeover the announcers on all the national stations reported to the Head of Presentation, David Lloyd-James. His Deputy was the rather better known Andrew Timothy; he'd announced on The Goon Show before Wallace Greenslade took over and was the father of actor Christopher Timothy. These posts ceased to exist from 1972 when the team was carved up between three Presentation Editors: Jimmy Kingsbury for Radios 1 & 2, Cormac Rigby on Radio 3 and Jim Black on Radio 4. (Although Radios 1 & 2 had employed James Fisher as a Presentation Editor from 1969, it was he who took on a young Noel Edmonds to join the promotions team presenting trailers and on-air competitions). The result of all this is that from the early 70s onwards we see an increase in the dedicated team of staff on Radio 4; familiar voices such as Peter Donaldson, Peter Jefferson, Edward Cole, John Marsh, Laurie MacMillan and Pauline Bushnell all joined at that time. It was Jim Black who introduced Sailing By as the buffer before the Shipping Forecast and engaged Fritz Spiegl, whom he'd worked with at BBC Radio Merseyside, to compose the short-lived Radio 4 jingles and the rather longer-lived Radio 4 Theme. 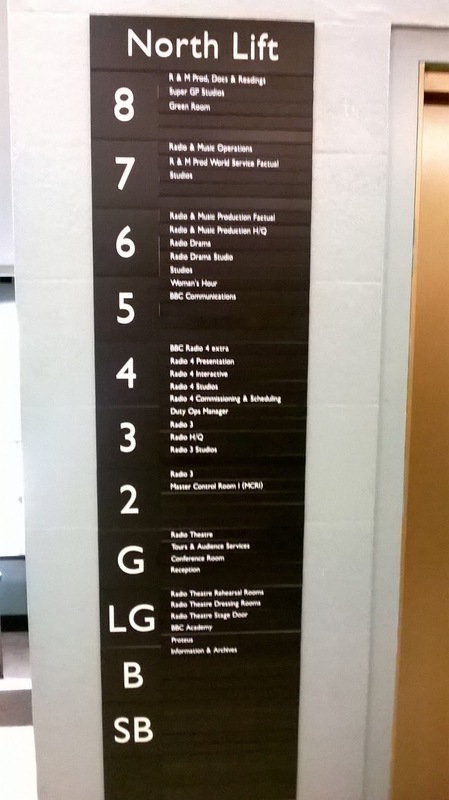 In the mid-70s the Announcers' Common Room (Room 2091 in the Broadcasting House Extension) was located immediately above the Control Room where the Continuity Suites were located, and one floor below the Newsroom where the bulletins came from in Studios 3A, 3B and 3C. Broadcaster Tony Barnfield, who was working for radio 3 Presentation at the time, told me that there was some confusion over the announcer's in-trays when both Tom Edwards (over on Radio 2) and weather forecaster Barbara Edwards were temporarily working on Radio 4, and that famously some wag had scrawled 'Master' over Simon Bates's name. Recalling his early days as a BBC announcer, Peter Donaldson, speaking to Simon Elmes in 2007, seemed to suggest that high jinks in and out the studio was not uncommon. "There was ... fun and games and a certain degree of irresponsibility which you probably wouldn't get away with now! Several of us would be in the BBC Club and one of us was supposed to be on duty, but there were coins tossed to see who would go on and read the next summary ... and the one after that and possibly the one after that!" Ray Moore, also an announcer for a while (and featuring on this list), wrote about the variety of roles that were undertaken. "I took ownership of my pigeon hole in the Broadcasting House common room, my name sandwiched between Roger Moffat and Alexander Moyes, and got down to work. It was a varied life, reading the news and Today in Parliament on Radio 4, occasionally introducing a symphony concert from the old Farringdon hall, and even hosting a talent show on Radio 1 on Sunday afternoons." In compiling this list, just to complicate matters, alongside the staff announcers there were a host of people on secondment, freelancers or folk just getting a try-out. Hopefully I've captured most of their names. In more recent years the situation has become a little more fluid again, announcers just as likely to be heard reading the news over on Radio 3 or the World Service and, of course, providing the pre-recorded links on Radio 4 Extra. Since I joined the Radio 4 team in the mid-1990s there have been significant changes to the job brought on by the emergence of digital technology, the expansion of the Radio 4 schedule and the need for the BBC to operate as efficiently as possible. 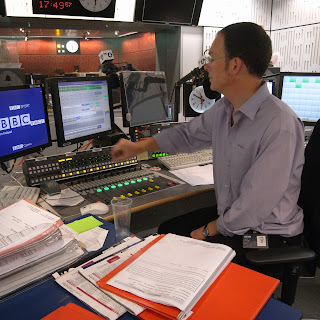 The biggest change came in 2006 when the Radio 4 Continuity studio became self-operational, and the announcers took over all technical responsibilities. 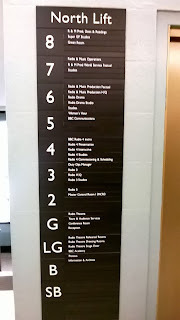 Another significant event came in 2012 when the BBC newsroom in London moved from TV Centre in Wood Lane to New Broadcasting House in Portland Place; this meant that the Continuity and news studios were now in the same building and allowed us to make more effective use of announcers on duty. If you’re a keen listener you’ll spot that – at certain times of the day – the newsreader pops up in Continuity to read some links as well as the news summary; this means their Continuity colleague is most likely heading for the staff restaurant or taking the air in W1A! Both the above changes have meant that we’ve been able reduce our costs whilst maintaining live Continuity throughout the Radio 4 schedule. Whilst the work involves shifts starting as early as 0430 or finishing as late as 0100 and, of course, includes weekends, it still feels a great privilege to be at the helm of the best speech station in the world. Chris's mention of the move from TV Centre back to the newly expanded Broadcasting House is interesting as it marks one of the changes in recent years in the way the presentation team covers the day on Radio 4. It was in 1998 under John Birt's plans for bi-media working that radio's news and current affairs teams found themselves camped out in TV Centre. 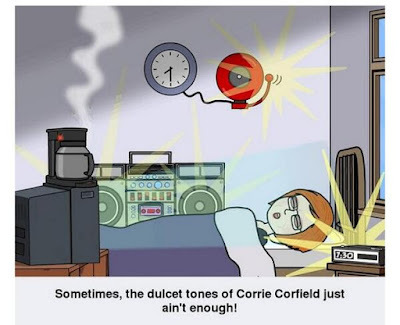 Consequently all the Radio 4 bulletins were read from TVC with the sole exception of the 12 noon news on long wave which was read at Broadcasting House. As the announcer went on to read the 12.01 Shipping Forecast he/she would undertake the network split from a self-op studio. The controversial axing of the UK Theme in April 2006 and the introduction of News Briefing dispensed with the need for a separate announcer to open up the station. Instead whoever was on the morning newsreading shift faded out the World Service, handed over to a Met Office forecaster for the Shipping Forecast, read the News Briefing and then covered the Today news bulletins. A separate continuity shift didn't start until 9 am. Announcers like Charlotte Green missed the old station start-up: "For me there was a sense of excitement, if that doesn't sound too stupid. You were right there at the beginning with these very tried-and-trusted formulas, the Shipping Forecast and the Radio 4 theme tune. I really remember the sense of excitement - the day starting afresh, the Today programme was coming up..."
At the opposite end of the day Diana Speed, writing in 2009 explained how the evening shifts work: "Two of us work the late shift up until midnight. During that time we provide cover and most importantly support for each other, because now that we are self operating we put the programmes to air on our own. If for any reason something were to go wrong, one of us would be telling you - whilst the other announcer would be fielding phone calls or sourcing a different piece of audio to play - should a programme have to be abandoned for technical reasons. By midnight though, we call time on one announcer, and the other is left to manage the network alone until one o'clock". 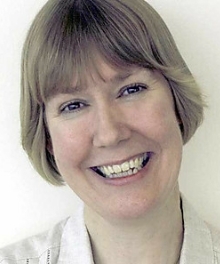 When the newsroom moved back to central London in 2012 the presentation team was slimmed down and two of the network's best-known voices, Harriet Cass and Charlotte Green, took voluntary redundancy. Around the same time two other long-serving announcers, Peter Donaldson and Alice Arnold, left the station. Here are three audio perspectives on the art of announcing, accurately reading a bulletin and not crashing the pips. First, from 21 June 1992, comes this report from The Radio Programme taking you through a typical day with Jenny Lane, Brian Perkins, Peter Donaldson and Mairead Devlin. Feedback's Roger Bolton went behind the scenes of Radio 4 continuity and spoke to Operations Assistant Caroline Adams (now Scheduling Co-ordinator, Transmission and Delivery) and announcer Corrie Corfield in this edition from 15 June 2012. The perils of the technology failing and getting the pronunciation right are dealt with by Zeb Soanes in another edition of Feedback from 7 February 2014. This list couldn't have been compiled without the help of David Mitchell. David first contacted me back in 2012 telling me that he'd started noting the names of Home Service newsreaders in 1964. Over the last couple of years we've gradually built up a picture of who's appeared on-air over the Radio 4's five decades. Armed with David's information plus my own notes we've come up with 199 names. The only possible gap in our combined knowledge is the early 1980s (roughly mid-1981 to April 1985). So if we've missed you out I apologise. If you want to be added, or you know of a missing name, please email me. I've only included announcers working 'normal' shifts. So, for example, I don't list the one-off re-appearance of John Snagge and Frank Phillips on Christmas Eve 1972 as part of the BBC's 50th, nor the guest announcers as part of recent Comic and Sports Relief days. Nor indeed John Finnemore who invaded the continuity studio as the Lord of Misrule earlier this year, although he does pop up in a couple of the audio extracts alongside the regular team. Also excluded are the PM announcer competition winners from this summer. Most of the audio comes from my own off-air recordings and downloads. If you love listening to the Shipping Forecast then these audio clips should more than satisfy your needs. Where I've been unable to trace any recordings from Radio 4 I've used that person's appearances on other stations, mainly Radio 2, Radio 3 and the World Service. Again if you have audio please contact me. I am indebted to David Mitchell for all his patient replies to my emails about who was on when and attempting to identify mystery voices I've found on the end of tapes. I am also extremely grateful to Radio 4's Senior Announcer, Chris Aldridge, for taking the time to answer my queries and for providing an insight as to how he and his team keep the station on the air. A number of current and former announcers kindly got back to me. Thank you to Sean Maffett, Sarah MacDonald, Jamie Owen, Christopher Slade, Geoff Oxley, Marshall Corwin, Jonathan Staples, Jonny Gould, Simon Vance, Annie McKie, Alice Arnold, Kathy Clugston, Patrick Muirhead, Steve Urquhart, Andrew Peach, Carolyn Brown, Andrew Crawford, Jonathan Lampon, Charles Carroll and Corrie Corfield. Here's the first part of the list covering surnames starting A through to I. The second part for letters J to Y will go live tomorrow. Now the senior announcer on Radio 4 Chris joined the BBC in 1985 as a studio manager. From 1990 he was an announcer/newsreader on Radio 5 before joining Radio 4 in 1995. Freelance writer and broadcaster. Editor-in-chief of UKAsian.com. Previously worked for MBC Networks in Sri Lanka, Metro FM in South Africa, Arabian Media Group in Dubai, NPR in the States and Sunshine Radio. Radio 4 announcer from 2015. Worked with ENO and RSC before moving to LWT in 1983 as newsreader/announcer until 1998. Also at Radio 4 as announcer 1988-90. Worked for the Bell Shakespeare Co in Australia 2001-12. Now Shows Development Executive for the RHS. Joined the BBC in 1979. Newsreader and continuity announcer from November 1991 to July 1998. Later becoming Radio 4's Presentation Editor. Training as a actress Alice joined the BBC Drama rep in 1988 and appeared in numerous productions on Radio 3 and Radio 4, including the part of Mary in the soap Citizens. 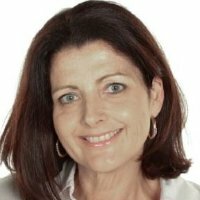 Joined the continuity team on a freelance basis in 1994 initially under the name Katie Arnold as she was still appearing in dramas. Read the overnight news on Radio 2. Joined the staff in 2006 as newsreader and announcer. Appeared alongside Jon Holmes in the comdey series Listen Against. Left the BBC in 2012 and now writes for national newspapers appears on Mellow Magic. Started broadcasting career with BFBS and then at BBC Radio Brighton from launch. Joined Radio 4 in September 1972 before moving to IRN as a newsreader. Trained at RADA and worked for several years as an actor. Joined the BBC in 1962 as announcer across all the radio services. Presenter on Morning Melody on Radio 4 in the late 60s. Moved to the Radio 3 team in February 1972 later presenter of Concert Hall. Reader on Quote…Unquote (Series 18). Retired in 1992. Initially with the BBC as a Studio Manager before joining Radio 4 Presentation as an announcer (later also newsreading) in March 1979. Turning freelance and working across the networks on Today, The Food Programme, Woman's Hour and Walter's Weekly. In the 90s produced a range of radio shows such as Loose Ends, Home Truths and The Food Programme. Presenter of World Service's Write On. Also worked on TV and does voiceover work and documentary narration (e.g. Horizon). Joined Radio 4 in 1971 as a newsreader before moving across to Radio 2 in 1972 as announcer/newsreader and later presenter of The Early Show. Moved over to Radio 1 from 1976 until 1993. Then at Atlantic 252, Talk Radio, Liberty, Classic FM, LBC, Smooth and Radio Devon. Was at BBC Birmingham, Radio City, Radio Trent and BBC Nottingham before joining Radio 1 as newsreader and then at IRN/LBC. Freelance at Radio 4 in the early 1990s. Also on Jazz FM. BFBS, Saga, Liver FM, Smooth Radio and Sky News radio bulletins. Latterly on Monocle 24. Newsreader and announcer on Radio 4 (from April 1986 to January 1987) and then World Service. Worked on Channel 4 1988-95 and subsquently on UKTV, Disney Channel and Discovery as announcer and promos writer. Newsreader and announcer 1983-86. Presenter of Looking Forward to the Past, Could Do Better and Just Three Wishes on Radio 4. Classic FM presenter mid-90s. Now a food writer and author. Brief spell on Radio 4 as an announcer July to December 1980. Later on BBC East and BBC local radio in London, Essex, Cambridge, Leeds and York. Left the BBC in 2014. On Radio 4 in 1996. Reporter on Radio 4’s The Chip Shop. Host of Morning Edition on BBC Radio 5 (1990-92). Announcer on Radio 4 1992-93, Radio 2 1992-97 and read the news overnight on Radio 1 1993-95. Later on LBC and Radio 5 Live. Announcer on Channel 4, Sky Movies. 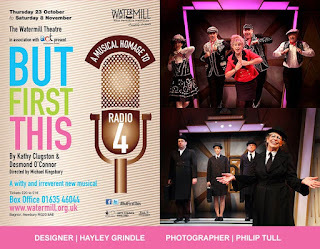 Until Dec 2012 on BBC Radio Oxford. His voice was also heard on BBC TV’s The Weakest Link (2000-12) and on Apple’s Siri app. Actress who did some announcing shifts in 1981. Broadcaster turned politician had started his radio career as a BBC announcer in 1951. In 1955 he worked for Radio Hong Kong for a couple of years before becoming an ITN newscaster. 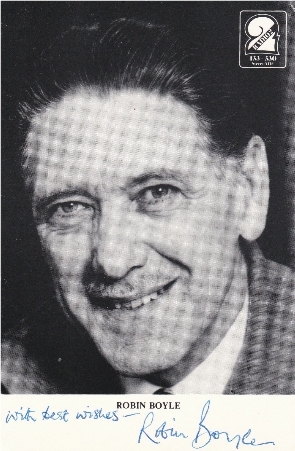 A regular presenter on the Light Programme (1959-1967) where he was one of the regular hosts on Roundabout. He was still doing occasional announcing shifts on Radio 4 until September 1971. In 1974 he became a county councillor and an MP from 1979 to 1987. Died in 2009. An announcer and newsreader on the Home Service and then Radio 4. Last newsreading shift in July 1970, thereafter only continuity duty until March 1972. Joined BBC Radio Carlisle (later Radio Cumbria). Began as a journalist in local radio (Radio City) and regional TV. A "premature midlife crisis" saw Carolyn travelling round India before coming back to the UK and working as a news editor in Bristol. Joined Radio 4 in 1991, retiring in 2015. Has since contributed a number of items to From Our Own Correspondent and is a freelance features writer. Started as a studio manager. Announcer and newsreader on Radio 4 (January 1992 to November 1995 and again briefly in 1996) and newsreader on Radio 2 where she presented a handful of editions of Night Ride in 1991. Newsreader and announcer on Radio 4 (briefly at the end of 1993) and on the World Service 1993-97. Briefly freelanced on Radio 4 in the summer of 2012. 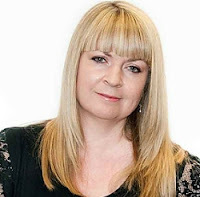 Extensive media career includes Music Box, Radio Luxembourg, Capital Radio, Channel 4, Discovery, Magic 105.4, GMTV and Radio Kent. Now runs production company PIBE Ltd. In 2016 he appeared on Thames Radio. Joined the BBC in 1971 as a studio manager before becoming announcer on Radio 4 (1975-77) and then Radio 3 in 1977. Music Organiser for the World Service until 1985 when he was back at Radio as Presentation Editor. Became one of the presenter-producers from the early 1990s. First presenter of On Air. Continued as a producer for Radio 3 from 1998 to 2000 and appeared on the station occasionally thereafter. Joined the BBC in 1973 writing trails for Radio 4. A year later became an announcer. Presenter of In Britain Now. Left the station in August 1988. In 1990s a presenter on Central News. 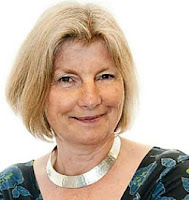 Emma Callander, nick-named Gigi, joined the BBC as a studio manager in 1982 before working on Radio 4 as an announcer and the World Service as a producer. Left the BBC in 1991 and formed Callander Communications. Now, as Gigi Salomon pursues a career as a sculpter. Former actor (including The New Avengers, Softly Softly and a number of radio productions) before a short spell as a Radio 4 announcer between December 1978 and February 1979. Moved over to Radio 2 as newsreader and announcer until 1982. Then on BBC1's That’s Life! from 1982 to 1994. Later worked on LBC and Radio 5. Started on hospital radio before moving into BBC local radio and then BFBS. Also reads the news on BBC World Service and worked on Radio 2 1997-2012. 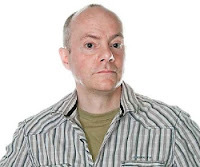 Briefly on Radio 4 in October/November 2004 and has appeared regularly as an announcer since December 2005. Joined the BBC as a studio manager in the early 1960s. Was a continuity announcer on both Radio 3 and Radio 4 from October 1968 to April 1969 before moving over to TV Centre and becoming a familiar voice on BBC1 and BBC2 for the next 32 years. Also on BBC World Service TV in 1992. Briefly back on the radio in 1977 when he was given a try-out on both Europe 77 and European Pop Jury following the departure of regular host David Gell. He retired from the BBC in 2001 and died of a heart attack in December 2008 aged 67. 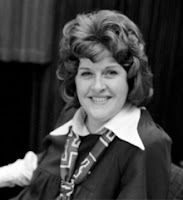 Joined the BBC in 1972 as a secretary before becoming a studio manager. Her first broadcast was in 1974, reading letters on You and Yours before joining the Radio 4 presentation team. In the 80s Harriet left the network to join the radio newsroom and to work in various capacities in TV news and at the BBC’s Westminster offices. She returned to Radio 4, her “spiritual home” in 1996. Took voluntary redundancy in 2013. Began her broadcasting career with the BBC in Northern Ireland as an announcer and transmission director 1996-2003. Also presented on former channel BBC Choice. Moved to Amsterdam as reporter/presenter on Radio Netherlands Worldwide. Joined Radio 4 in 2006 as an announcer. Was the 'Posh Radio 4 Lady' reading letters on Scott Mills Radio 1 show. 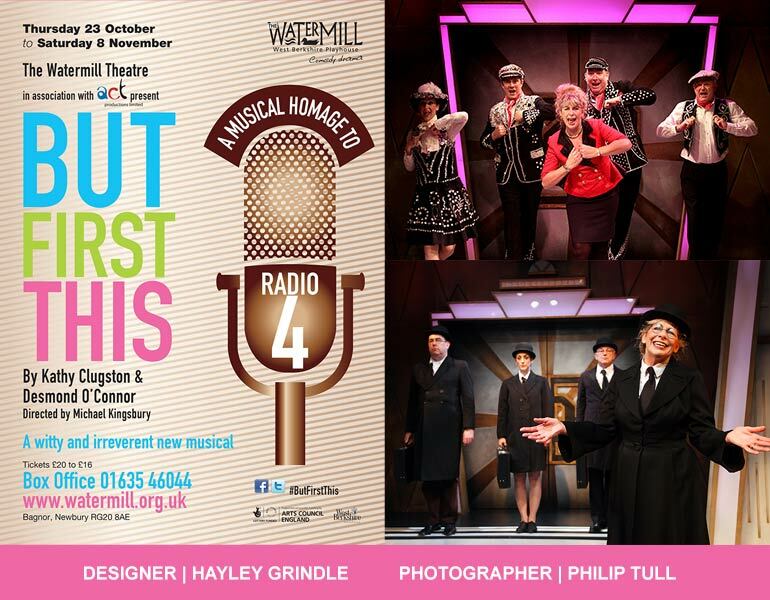 Co-wrote the musical But First This, a musical homage to Radio 4. Along with Corrie Corfield she was the instigator of The Slanket of Con. Also works regularly on Radio 3, 4 Extra and the World Service. Now best known as a cricket commentator for Sky he joined Radio 4 as newsreader and announcer in April 1978 but by 1985 was a sports reporter for BBC radio. Later on Radio 2's Sport on 2 and Sunday Sport on 2 and Sunday Sport on Radio 5. Not to be confused with the TV director/producer of the same name. Radio 4 announcer from December 1990 until September 1992. Now, under the name Ros Wingerter, an announcer on WWNO New Orleans Public Radio. Joined the BBC as a studio manager at BBC World Service. In 1987 on the trilingual station BBC 648 and then as newsreader on the World Service. Joined Radio 4 in 1988. Between 1991 and 1995 in South Africa on Radio 702. Rejoined Radio 4 in 1995. Television producer and director was a Radio 4 announcer from August 1985 to March 1986. A familiar voice on BBC Radio Sheffield for over 20 years he briefly appeared as a newsreader on Radio 2 and Radio 4 between February and April 1973. Studio Manager on BBC World Service 1985-88 with periods as an announcer at the launch of BBC 648 and on the World Service. Radio 4 announcer and newsreader 1988-1999. Announced the death of Diana, Princess of Wales in 1997. Moved onto BBC projects in 1999 (some standby announcing shifts in 2004) and then into management. Currently Head of Production Delivery, BBC News. Still heard doing the announcements and credits on I'm Sorry I Haven't a Clue. Former BBC secretary and Production Assistant before joining Radio 4. Later newsreader on BBC TV then with Sky News (1988-2006). Best known as Yorkshire Television announcer from 1973 to 1998. First broadcast on the pirate station Radio London, then moved into selling airtime at RadioVision followed by work as presenter and producer at BFBS Cyprus. After working on Radio 4 in the early 70s he moved to Southern TV and then YTV. Best known as a Radio 3 announcer Tom appeared on Radio 4 in the early days of the station as an announcer and newsreader until 1971. 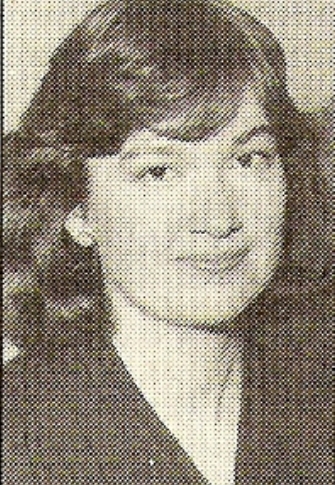 First an announcer on the Third Programme in 1952. Left the BBC in 1960 but returned for occasional shifts from late 1964 and regularly from 1967. Retired from the BBC in 1982. Died in 2011. Worked in advertising before joining the BBC in Nairobi in the mid-60s. Then wrote for and sub-edited the Radio Times. Short spell as Radio 4 announcer in 1975 & 1976 before moving within the Corporation to Appointments and finally International Relations. Died in 2002 aged 78. Another familiar voice over on Radio 3 Jon also appeared regularly on Radio 4 in the early days of the station. A former actor he joined the BBC as an announcer in 1959 working across all networks. Presented music shows on the Light Programme and was the regular announcer on later series of The Men from the Ministry. Presented Night Ride on Radio 2. Worked exclusively on Radio 3 from 1972 until early 1990s. Died in 2012. A broadcast journalist for 15 years with occasional shifts on Radio 4 in 1987. 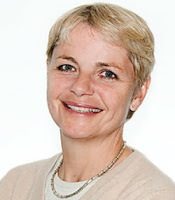 Now runs a consultancy in Organisational Development and is a Programme Director at the London Business School. Former actor. Worked on BBC Radio 1959-73 mainly Home Service/Radio 4. Regular host of the Sports Service in 60s. Read the news on Town and Around on BBC1 in the South East and presented BBC2 tv News Review. Moved to South Africa in 1974 as newsreader on SABC TV1. In 1987 joined the Department of Foreign Affairs until 1992 when he worked for Bop TV. Retired in 1995 moving to Cape Town. Died in 1999. BBC World Service newsreader in the 1990s. Appeared on Radio 4 April to July 1995. On Radio 4 since 1988 as reporter and presenter. Two stints as an announcer: from April 1992 to 1997 and again from 2012 to the present. Runs a media production company. Freelance announcer was on Radio 1 Newsbeat and regularaly heard on BBC World Service. Radio 4 announcer in 2012 & 2013. For many years one of the best known and longest-serving members of Radio 4's presentation team. After an early career as an actor he applied for a job as an announcer with the BFBS. Joined Radio 2 on 6 April 1970 and was presenter of Night Ride, Breakfast Special and The Early Show. On Radio 4 from 1973 apart from a short break when he joined Radio Hallam for its launch. Chief Announcer 1988-2003. 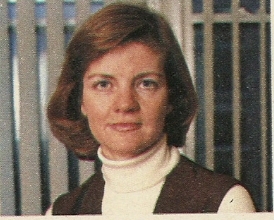 Retired from the staff in 2005 but continued as a freelance until December 2012. Died in 2015. Long time TV announcer at Border but also Tyne-Tees and LWT. Broadcasting career started at BFBS in Cyprus before joining BBC radio in 1967 as announcer and newsreader. Also presented Night Ride on Radio 1 & Radio 2, plus Strings by Starlight and Sunday Morning with Pat Doody on Radio 2. Left in 1971. Some occasional announcing shifts on Radio 4. Died in 1990. Announcer March to June 1968. No other information. Joined the BBC after working for the British Forces Network in Cairo. Initially on Light Programme then mainly Home and Third. Had a spell working in the BBC's personnel department. Duty announcer who closed down the Home Service in Sept 1967 and opened up Radio 4 the following morning. Later as a freelance he would audition and train radio presenters and reporters. Died in 2005. BBC career started as a studio manager in the late 1950s for the General Overseas Service. Moved into announcing across all networks by the early 60s and presented many music shows mainly on the Light Programme. A regular presenter of Breakfast Special 1966-72 but still reading the news and working continuity shifts. He made occasional appearances on Radio 4 in 1968 and 1969. Presented weekly children's programme 4th Dimension on Radio 4 (1972-75). Daily afternoon show on Radio 2 (1972-74) then long-running teatime show (1976-98). Presenter of Friday Night is Music Night (1999-2003). Died in 2004. 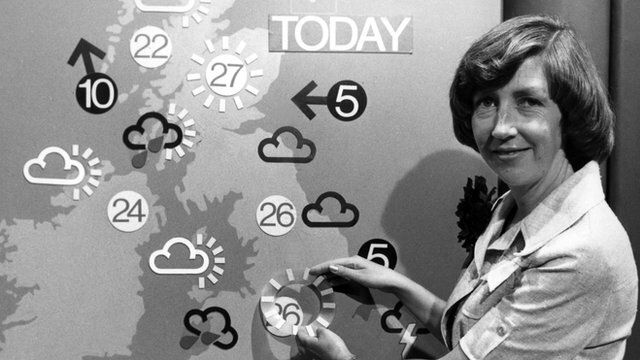 During the 1970s Barbara was a familiar face on BBC TV as a weather forecaster but she appeared on Radio 4 as an announcer for a few months from September 1972. She'd joined the Met Office in 1957. From 1970 to 1979 she worked at the Londion Weather Centre providing forecasts for both TV and radio. Back at the Met Office in Bracknell from 1978 until retiring in 1980. Joined the BBC in the late 60s as a studio manager. Announcer & newsreader on Radios 1, 2 & 4 from Feb 1971. Presented All Kinds of Music on Radio 4 in 1973. Left BBC in Feb 1974 to work at the Atlantic Relay Station on Ascension Island. Returned to the BBC World Service in 1978 where he later read the news on the BBC World Service Television News (later BBC World). Made further appearances on Radio 4 between Jan and July 1990. Retired to North Devon in Sept 1998 but still undertook newsreader training until at least 2004. Worked for the BBC 1997-2012 mainly on the World Service first as a studio manager then as a Broadcast Journalist. Announcer on Radio 4 2007-10. From 2016 back at the BBC as a newsreader on Radio 5 live. Newsreader on commercial radio, announcer for the BBC in Wales and on BBC World Service Television. Worked as a freelance announcer on Radio 4 in 1995. Became a multi-camera director and documentary maker. Provides voiceovers for Al Jazeera. Trained at the Royal Scottish Academy of Music & Drama and a qualified voice coach. Continuity announcer on BBC Radio Scotland and BBC Scotland TV, Channel 4, Radio 4 then BBC TV. After a career break returned to Radio 4 but left the station in 2015. Became something of a radio personality following his appearances on Breakfast with Braden and Bedtime with Braden. He'd joined the BBC in the 1940s as an announcer and newsreader. Went freelance in the late 60s but continued to appear on Radio 4 until the end of 1970. On BBC TV in Braden's Week and from 1976 to 1994 was the reader on Quote...Unquote. Died in 1996. No information other than some continuity shifts around 1999. Started in radio with British Forces Network before joining the BBC as a studio manager in 1954. Later an announcer and producer. Announcer on Radio 4 and also presented All Kinds of Music. Left the BBC in 1975 to work in PR but returned to work at Bush House as a news sub-editor plus some freelance music presenting. Retired in 1988. Died in 2008. Joined the BBC as a trainee secretary and then various TV production posts. 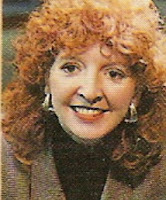 Freelance as announcer on Radio 4 1990-96 (as Fenella Haddingham) before moving over to Radio 2 as a newsreader 1996-2012. Voiceover actor and trainer. More recently on LBC and Head of News at Share Radio. Mainly appearing on the Third Programme then Radio 3 Andrew also announced on Radio 4. In the 1960s presented on all networks: the mid-week edition of Family Favourites, Today, Sports Service and On Stage.. 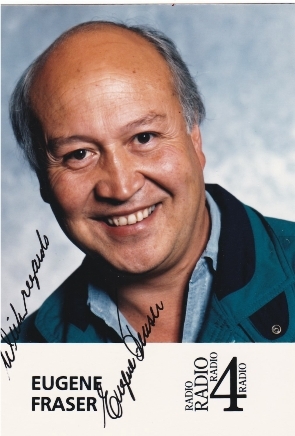 Better known as Jonny Gould he appeared briefly in November 1993 doing some holiday cover. He'd previously worked on the BBC World Service and IRN on their sports coverage. Subsequently worked on TV for Channel 5, ITV, Al Jazeera and regularly reviews the papers on Sky News. Radio work includes Talksport and Smooth Radio and he's currently on Talk Radio. Joined the BBC's Overseas Service in 1959 where he worked as studio manager, presenter, announcer and producer of English by Radio. On Radio 4 from July to the end of 1975. Joined the BBC as studio manager News & Current Affairs (Radio) in 1979. Moved to Radio presentation in March 1985. Presented Morning Has Broken and a regular reader on The News Quiz. Left Radio 4 in January 2013. Presents a programme on Classic FM and, from September 2013, reads the classified football results on Radio 5 Live. BBC staff announcer from the late 1950s across all networks who later worked exclusively on Radio 3. On Radio 4 1972-75. Later a TV announcer for BBC South. On Radio 4 between September 1987 and July 1988. Worked on Radio 4 from August 1971 to January 1972 before joining Radio 2 as newsreader and announcer. Was the first presenter of The Early Show and also presented Night Ride on Radio 2. Reporter on ATV Today in late 60s. Continuity announcer at LWT. Commentator on Come Dancing 1972-8. Also on BBC Radio Wales. 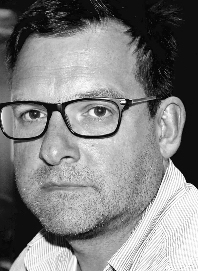 Started his broadcasting career as a BBC studio manager before working for the BFBS in Cyprus, Tobruk & Berlin. Occasionally co-presented Family Favourites 1967-72. Returining to the UK he joined Radio 4 as a staff announcer before going freelance. Presented In Britain Now and Up to the Hour, he was on the first ever edition in May 1977. He narrated The World About Us on BBC2 and many of the Survival documentaries for Anglia TV. Presented In the News for BBC Schools 1984-5. He continued to provide voice overs and narrations until his death in 2012. Presenter/reporter on BBC East Midlands Today who did a couple of Sunday newsreading shifts on Radio 4 in Sept/Oct 1998. Directed many BBC Radio 4 dramas including Citizens. Editor of World Service drama Westway. Newsreader and announcer on Radio 4 1983-85. Worked for the BBC from the late 1940s as announcer. Regular reader on John Arlott's Book of Verse. Presenter of The World of Books on Network Three and Home Service 1957-65, Can I Help You? on Home Service/Radio 4 1963-70 and Playbill and Rural Rhymes (1977-84) on Radio 3. 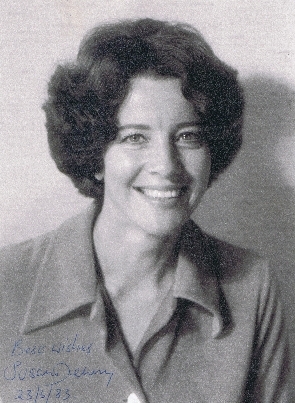 A newsreader on Radio 4 until 1972 and then on Radio 3 until 1976. New Zealand actor and broadcaster who worked on television and Radio New Zealand's Morning Reports. Moved to London in 1966 and joined the BBC as a newsreader on the Home Service/Radio 4 . Also occasionally on the Light Programme where he presented Sound of Strings in 1967 and some shifts on Radio 1 and 2. On returning to his home country he continued to broadcast on Radio New Zealand. Died in 2010 aged 72. 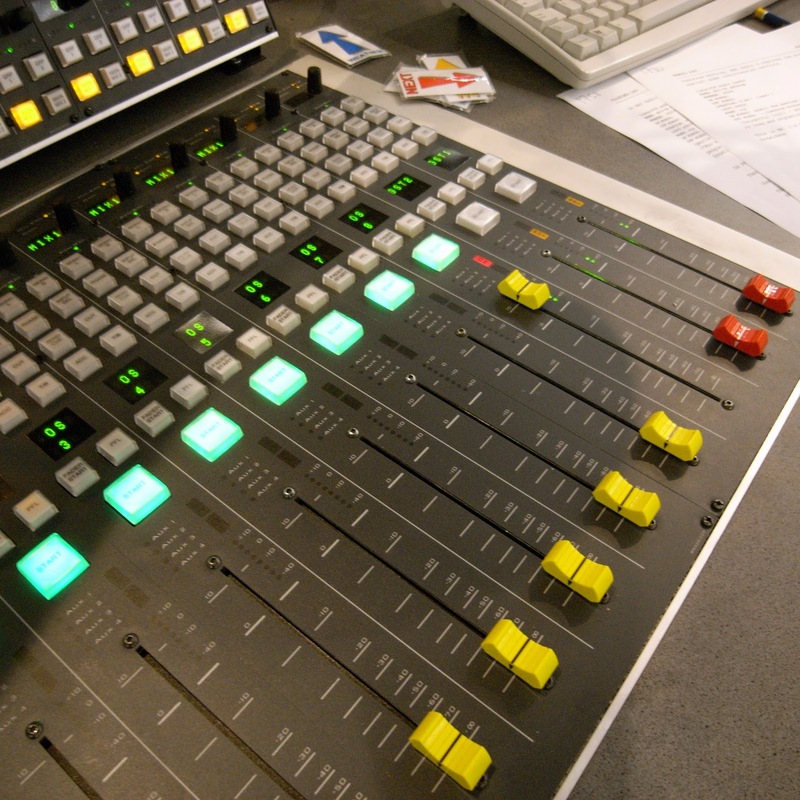 Broadcasting career started in New Zealand. Returned to UK in the early 70s working freelance for Radio 4, World Service and COI. Joined BFBS radio where he eventually became station manager in Germany. Retired in late 1990s initially to Spain, where he helped set up Exite Fm before moving to France. Died in 2009. Brief appearance on the network in 1968. He'd originally started his broadcasting career on 4BH in Brisbane, Australia. He was a journalist in Melbourne before returing to his native Scotland first as a journalist then as announcer first in Scotland then Northern Ireland as a TV announcer. Newsreader and announcer on Radio 4 (February & March 1968) and TV continuity announcer for BBC Scotland. Was a producer at BBC Radio Shetland in 1978 . Moved into politics as MEP, local councillor and Convenor. Also an author and the presenter of the Royal Edinburgh Military Tattoo since 1992. 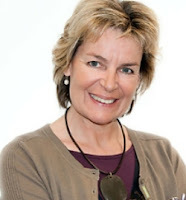 Radio 4 announcer July - December 1986 and also producer/presenter for World Service English teaching programmes. More recently in Radio 3's Presentation team as a scheduler. Another impressive article, Andy. Look forward to the next one. Excellent. Possible slight spelling correction: is Rob Finnegan's last name Finighan. If so, he's now a tv/film director, and is/was at Al Jazeera with his news-reading brother, Adrian. Thanks for your feedback Andrew. It seems it is Rob Finighan and his voiceover website does mention a freelance stint on Radio 4 as an announcer. I'll amend the entry. Cheers Andy and thank you for the feedback. John Snagg. Didn't he do war time announcements. Later known for the introductions on each episode of Dad's Army the radio edition. Did Ed Murrow also appear on the BBC?He was certainly broadcasting from London and about 12 years ago Radio 4 broadcast on Christmas morning some BBC radio reports which included Murrow.One of the reporters was broadcasting, then live, from a bombing raid.